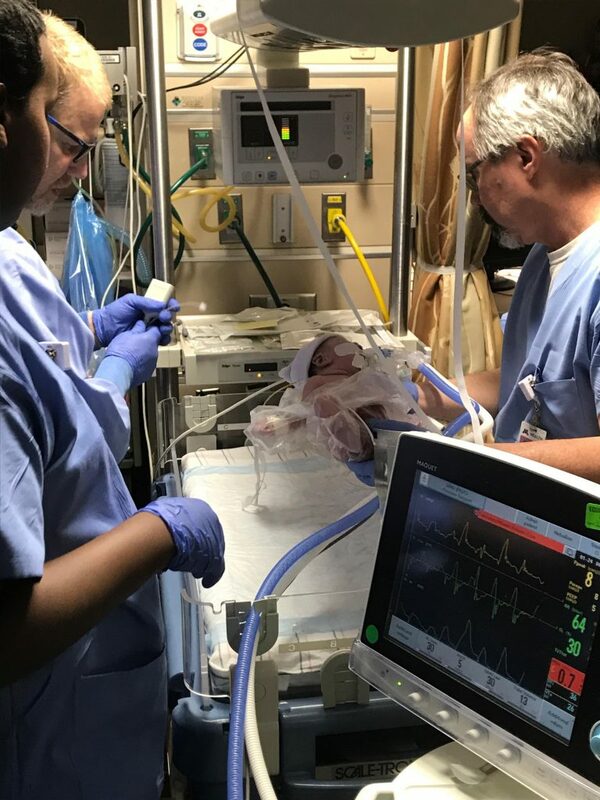 “The Power of Prayer” is an incredible testimony from the Leadens family, and the real events that took place during their daughter Delaney’s first months of life. This is a three-part blog series. Part one was posted on Thursday, January 24 and part three will go up on Thursday, February 7. “I got induced at 36 weeks. 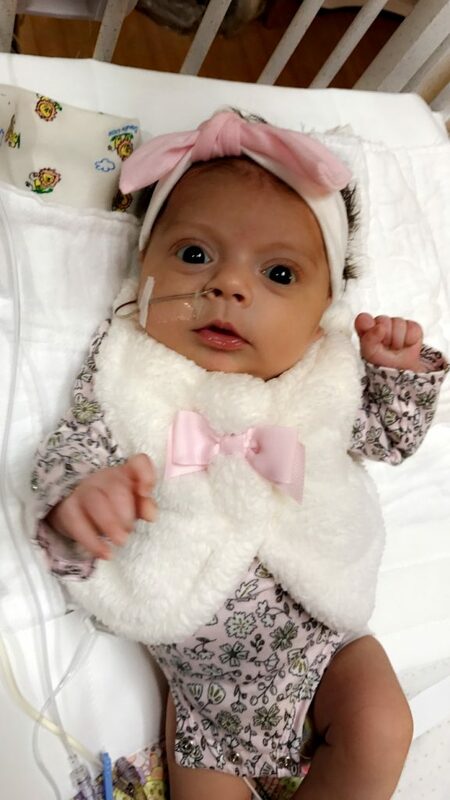 I had been going in to the U of M multiple times a week for tests to monitor her mobility, and she failed the test,” said Gabriella Leadens, baby Delaney’s mom. Gabriella was induced at noon on January 23, Delaney was born around 7 a.m. on January 24, 2018. She weighed in at a whopping five pounds, 10 ounces. Delaney’s surgeon put her intestines, appendix, stomach, ovary and fallopian tube into a bag. They hung it over her body, and using gravity, they put Delaney’s organs back inside of her body. On the third day of her life, she went into the operating room and they closed her up. Because of her condition, Delaney was getting her nutrition from a PICC line. After about a month, Gabriella noticed a strange lump forming on her daughter’s leg. Gabriella recalled those days with frustration. Saying the entire time Delaney was being poked and prodded, she kept asking why they didn’t have another type of PICC line. As luck would have it, a nurse practitioner sitting in on the meeting remembered the hospital getting a single silicon PICC line as a sample from a medical supply company. The next day, the nurse practitioner got the new PICC line, but while she was inserting it, there was another complication: she couldn’t get it to go all the way in, Delaney needed another operation. “Once the silicon line was in Delaney’s body accepted it. But she still wasn’t able to eat enough,” said Gabriella. Stay tuned for the final post of this series. Our third and final blog of “The Power of Prayer” will be published on Thursday, February 7. If you would like to share your testimony with us, fill out our Testimony Thursday form today!